Dame Judi Dench’s has put eye health well and truly in the spotlight with her recent revelation that she can no longer read her scripts as she is suffering from Age-Related Macular Degeneration (AMD). But what exactly is AMD, how is it managed and is there anything we can do to prevent it?What is AMD? Age, gender, genes and lifestyle. 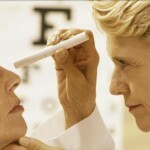 AMD is most common in the over-60s and women. Your genes and eye colour – blue-eyed people are more at risk – also increase risk, as do smoking, sun exposure, unhealthy eating and possibly alcohol. In the past, wet AMD was considered the most serious because of its fast progression, but injectable medications have revolutionised treatment. Dry AMD cannot be treated. Using magnifiers to read and techniques like ‘Eccentric Viewing’, which trains patients with AMD to use remaining peripheral vision, for example by looking slightly to the side of a TV picture, can help. No. However, almost everyone affected has enough peripheral vision to continue daily activities. You can’t change your age, genes or gender, but quitting smoking, wearing sunglasses and a floppy hat to protect your eyes from sunlight, losing weight if necessary and eating a healthy diet may help protect you. Does nutrition play a role? Is there any new research? “Clinical trials are looking at new treatment options for wet AMD,” explains specialist research charity Fight for Sight. 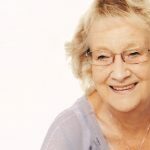 “These may include drops or tablets rather than the current injections and for dry AMD using stem cells to repair the damage.” Fight for Sight (www.fightforsight.org.uk), is the UK’s leading eye research charity, has an investment of about £2.5m in AMD research. This research is focusing on developing a better understanding of the disease as well as better ways of diagnosing those at risk and new treatment therapies.